I love chocolate. I really really really love chocolate. A lot! It’s something that even the smell of can cheer me up and it is definitely one of the things in life that makes me really happy. 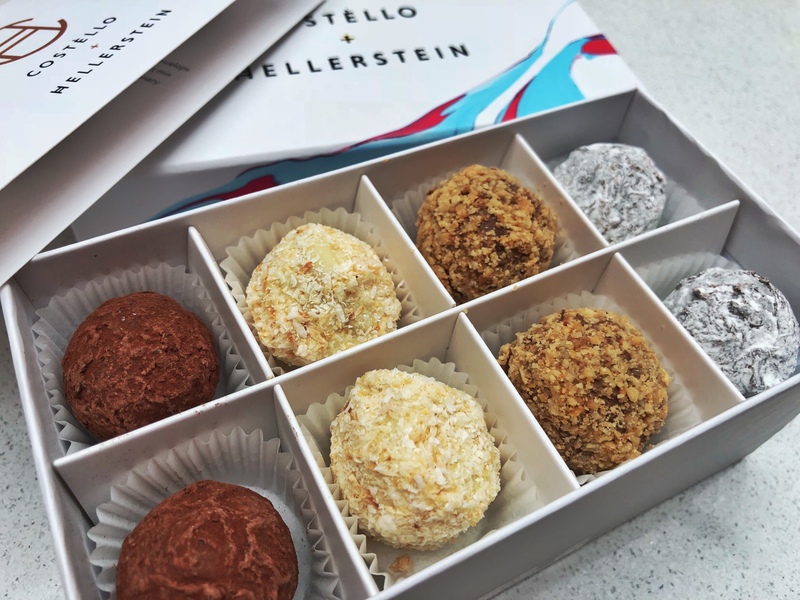 So when I had a message from Costello and Hellerstein, asking if I wanted to try some of their bespoke handmade chocolates, I jumped at the chance. I also like to support local and these divine bites of heaven are made right here in the Cotswolds. Usually found at Stroud Farmer’s Market under the Artisan Baker banner, they are now available to buy online on their website. 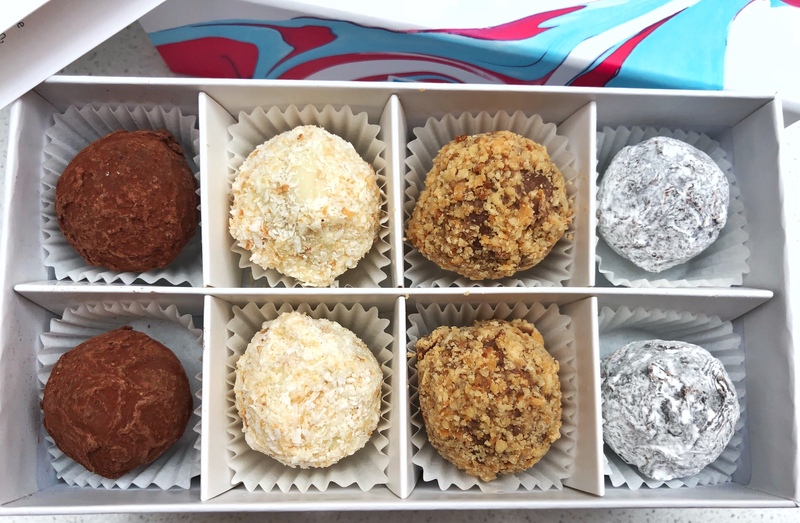 I was given two boxes of truffles to try, containing 16 beautiful chocolates each; raspberry and coconut in white chocolate, hazelnut praline and roasted hazelnuts in milk chocolate, a gorgeous fluid salted caramel and the most delicious dark chocolate and orange. 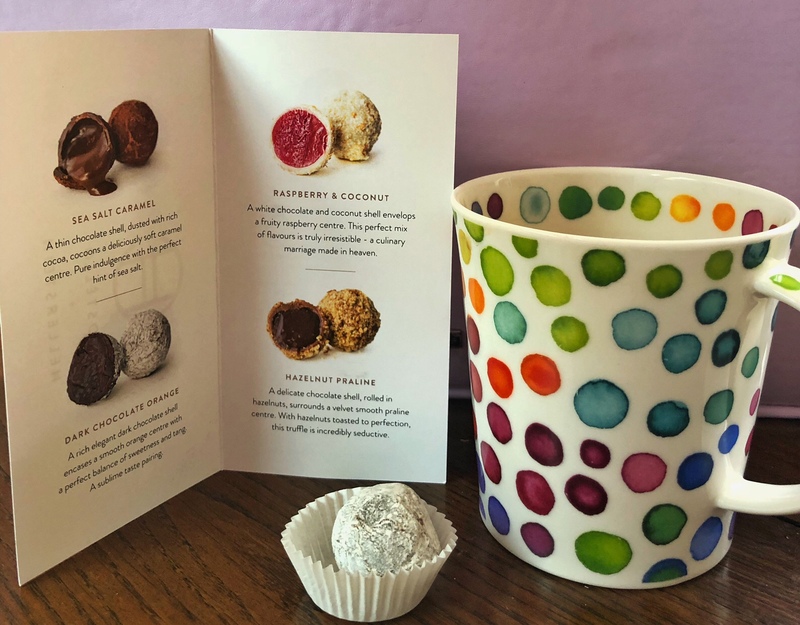 From the beautiful box with it’s pretty marbling and smart gold embossed logo, to the perfect finish of these truffles, everything about them hints at luxury and decadence and would make the perfect gift. The packaging is bright and cheerful and would be a beautiful present for any occasion. I tried all the flavours for the purpose of this review, (aren’t I good to you!) and although it was tough to narrow down, my favourites are the salted caramel, with the chocolate orange just taking pole position. It is divine! They don’t just make chocolates though, there is also a range of delicious sounding fudge in a variety of flavours; Jamaican rum, vanilla bourbon, English rose and stem ginger. Best of all? I have a bumper prize of lots of lovely chocolates and fudge to give away to one of my wonderful readers! 4 boxes of fudge and 1 box of each of the chocolate truffle flavours, 4 boxes of chocolates in total! Not only that, but also a signed copy of the chocolate creator himself, renowned, award winning pastry chef Ori Hellerstein’s cook book, The Artisan Baker. 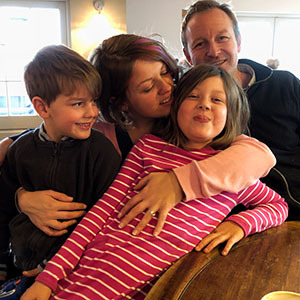 A small family business, Costello and Hellerstein are growing quickly with plenty of exciting new flavours in the creation. They are currently crowdfunding to take the business to the next level and move to new premises to continue with the rapid expansion they are experiencing, if you would like to support them, just click here!